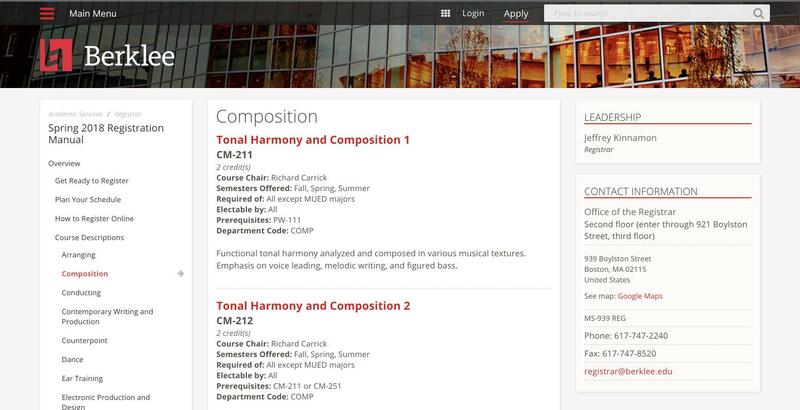 Berklee College of Music, an internationally renowned music school, was moving into a second phase of its site redesign. 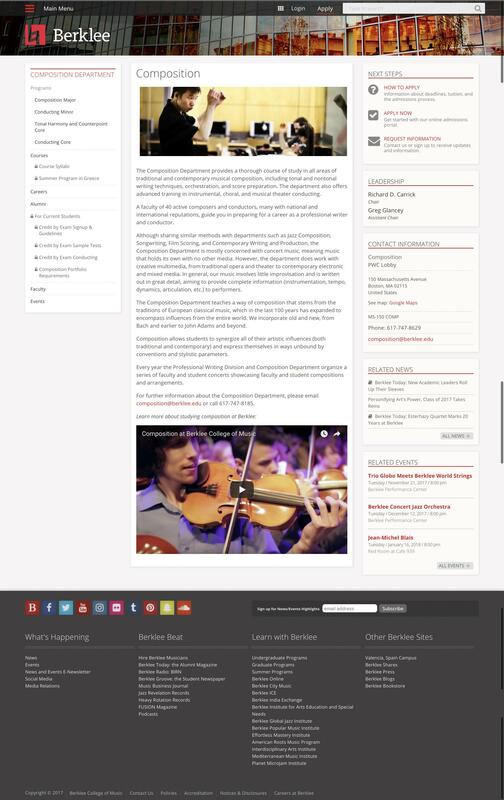 As part of this project, I worked with the College's web team to help rearchitect several areas of the website to support an intranet, messaging framework, and staff/student directory behind a protected area of the website. Participated in meetings across campus to uncover content needs, talk through requirements, and socialize a highly political project. 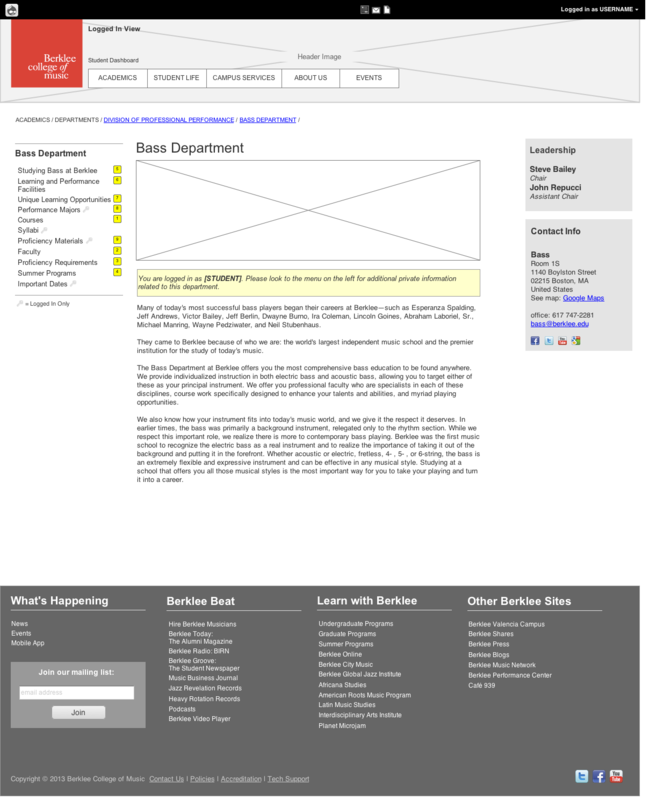 Worked with lead architect to update information architecture for Berklee.edu, which included cataloging and reorganizing thousands of pages and files, representing the content of 98 departments. Created training materials and taught workshops for content creators on adding content to Drupal. Helped build the team, including referring a lead developer and a project manager. 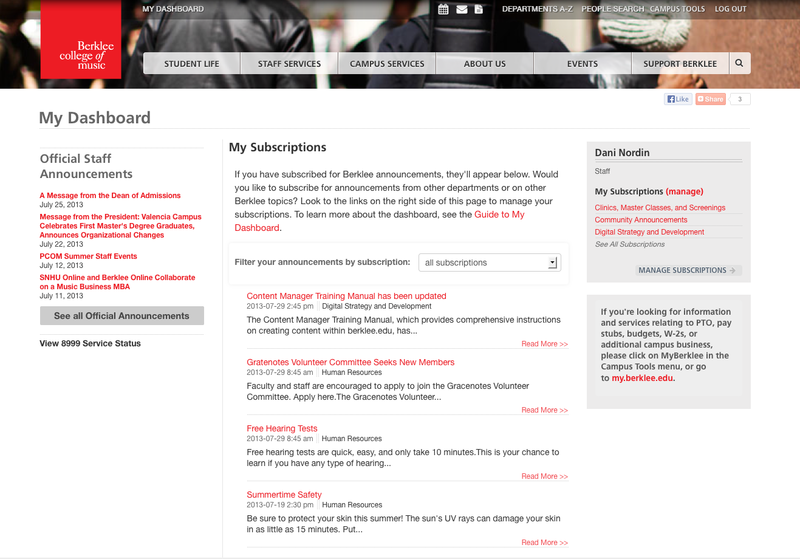 Worked with team to overhaul several key areas of the site, including: College-wide announcements dashboard and topic subscription mechanism; Department sub-sites; The College registration manual; and the Faculty/Staff Directory. I often start a project by sketching different options. 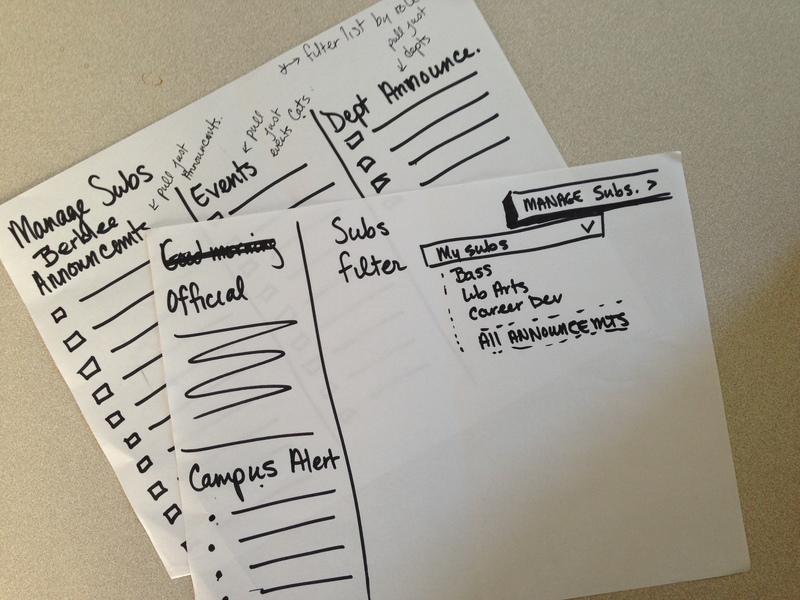 These sketches eventually became the user subscription/preference area and dashboard. Part of successful information architecture was understanding which information came into the system automatically, and which would require manual entry. There was also the issue of making certain content private, but making it clear that there was more "under the hood." Working with the Lead Architect, we were able to create automatic listings for courses, faculty/staff and syllabi within each department's section of the site, requiring less manual input from content authors.